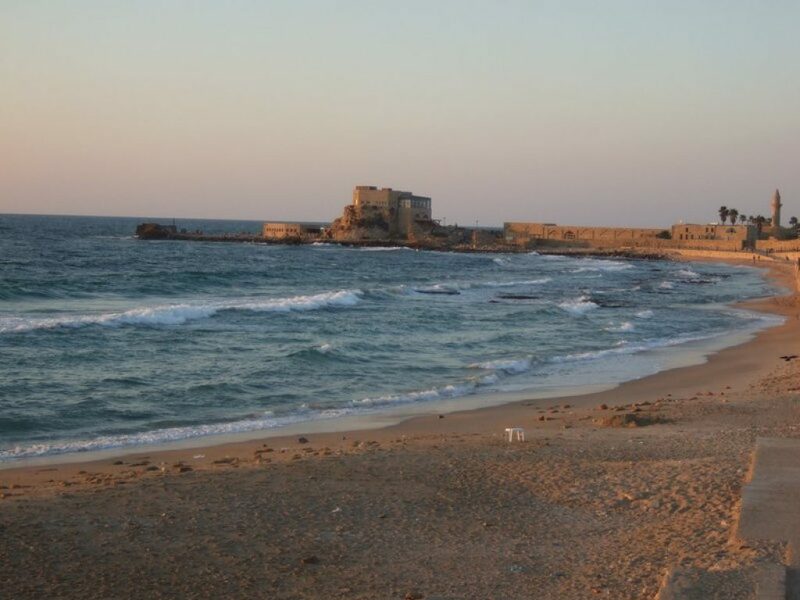 Caesarea Israel is considered by many to be one of the most remarkable coastal destinations in Israel. Alongside the ancient ruins you will find upbeat cafes, authentic quaint restaurants, and white sandy beaches with crystal blue clear waters. A tour of the national park is like walking through a movie set in ancient Rome, and wandering between the ancient buildings you can’t help but feel how people lived here thousands of years ago. 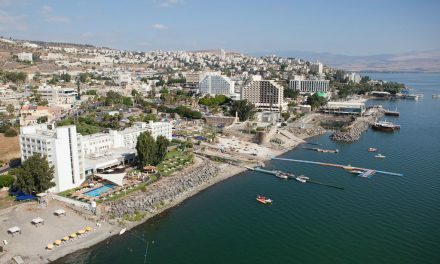 You can also enjoy modern contemporary experiences, such as the enthralling musical performances held in the beautiful Roman Theater or Scuba diving off the bay. I have attended several musical performances in the theater, and the acoustics are amazing, not to mention the seaside view. 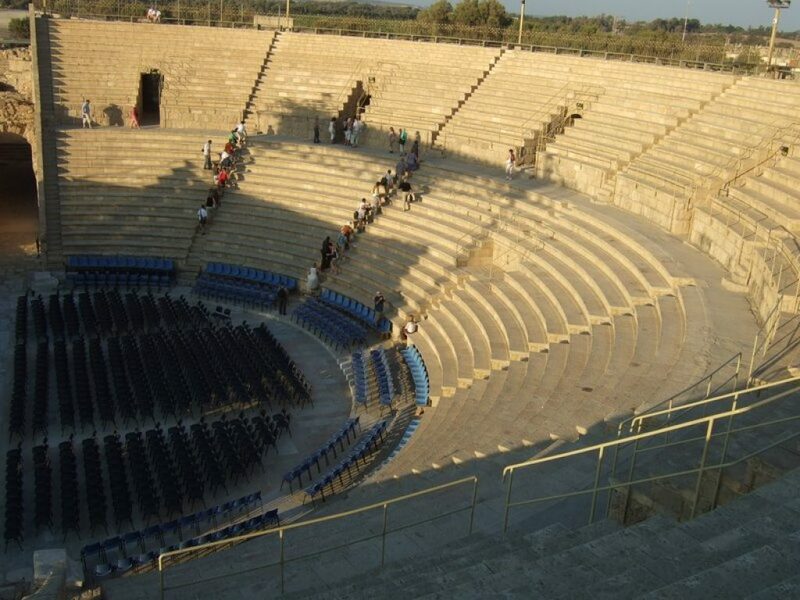 You are situated outdoors in an open air Roman theater with stone benches as seats. As you face the stage and the performers, the beautiful Mediterranean backdrop literally takes your breath away. Walk along the city walls and towers. Wander through the ruins of the castle and the various temples. Watch the horse race re-enactments in the hippodrome. Visit the ancient port and the tiny artists’ square. For more, see our recommended guided tours and attractions. 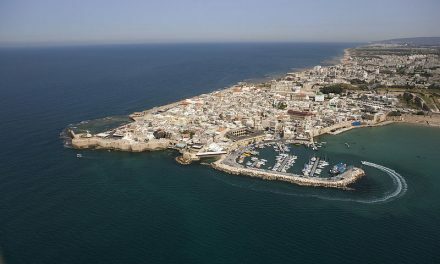 King Herod the great rebuilt the city in 22 BC and renamed it Caesarea after Roman emperor Augustus. Archaeologists theorize that the city was flooded by a Tsunami, which left ruins that you can explore by diving or snorkeling in the bay. The ancient theater is used to this day and features modern performances. The Caesaria port hosts cultural festivals all year round and offers a wide range of activities: jeep tours, Tai Chi on the beach, toga workshops, treasure hunts, as well as an outdoor food and crafts market. July is film month with a great line up of films for the entire family. The evenings conclude with a Beach Bar Party – more music, DJ’s and dancing until the wee hours of the morning. 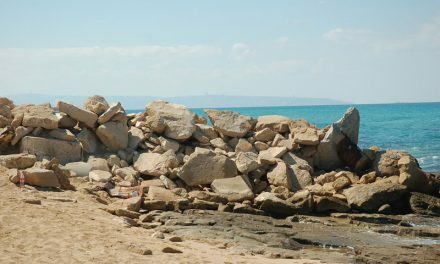 If you are a beach lover like me, Caesaria’s private beach offers the beauty of nature as well as great snorkeling and scuba diving especially for tours of the underwater ruins in the archaeological park beside the port. In my opinion, the private beach inside is well worth the 20 Shekels admission price. 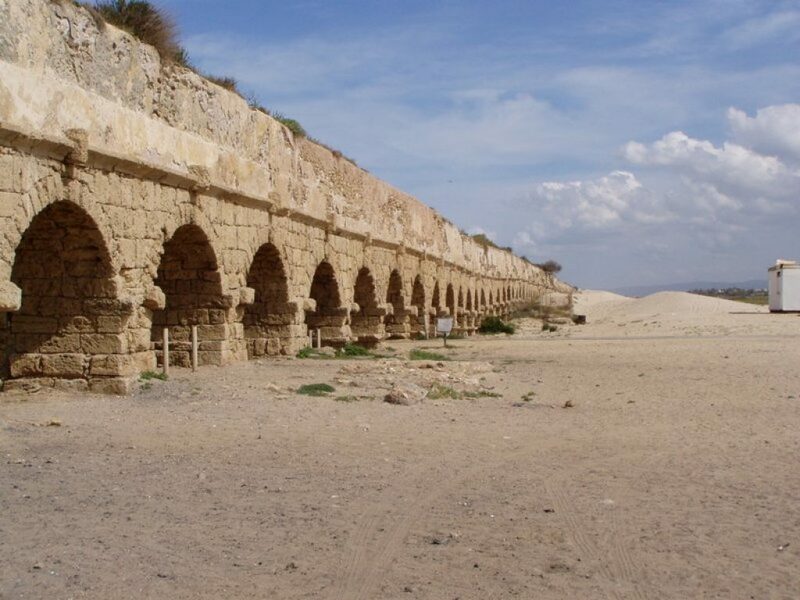 If you want a public beach, I recommend the Aqueduct beach where you will find a beautiful undisturbed coastline with the Roman Aqueducts that originally brought water into the city over 2000 years ago. Again a picture is worth a thousand words. We celebrated my son’s Bar Mitzvah in 2010 at a wonderful little restaurant in Caesaria called Arresto Cafe. Delicious food, close family and friends, and the whole atmosphere in one word was ‘magical’. 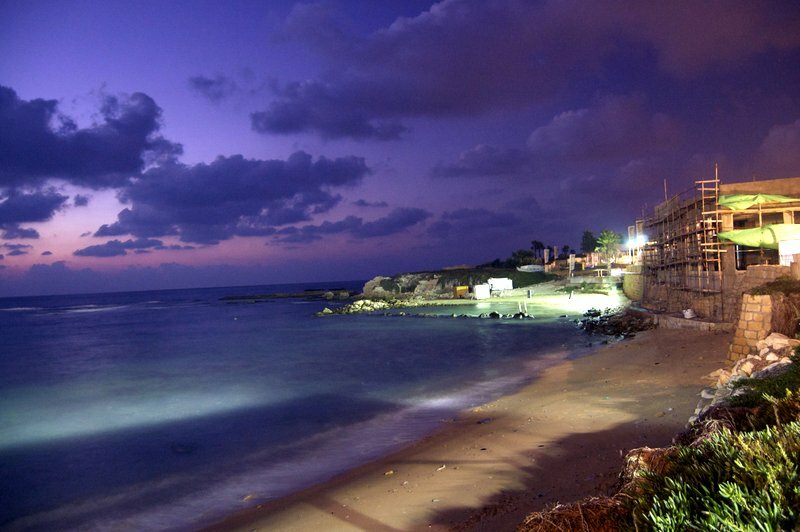 Other recommended dining spots include The Beach Bar for a more casual atmosphere, and The Port Cafe which rests on the cliff overlooking the bay. 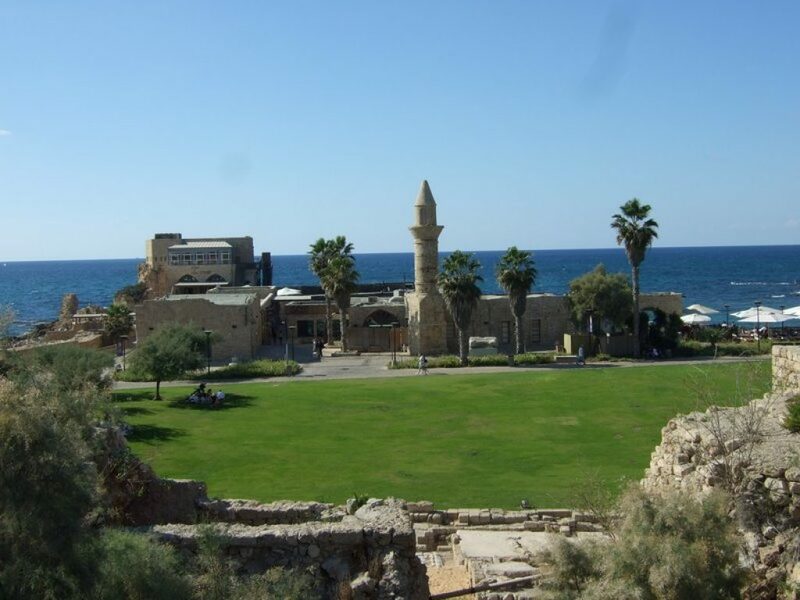 Of course there is more to Caesarea Israel than just the tourist attractions. 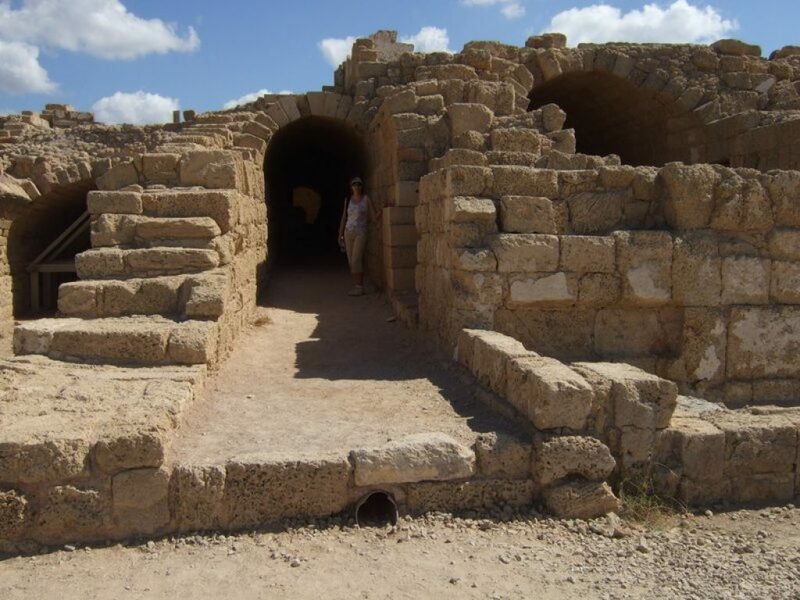 There’s lots to do at the rural town of Caesaria by the national park, including world class golfing on a genuine Pete Dye course, a pampering spa, fancy hotels, and the Ralli Art Museum. Near one of the neighborhoods (on the road to the Aqueduct beach) the remains of an ancient palace was discovered with a magnificent mosaic floor of amazing birds and a rare and unique table top inlaid with glass and gold. If you are looking for great accommodation then we can recommend a lovely B&B close by in Binyamina. (10 mins drive). Hedva the owner of Grushka offers amazing country hospitality. 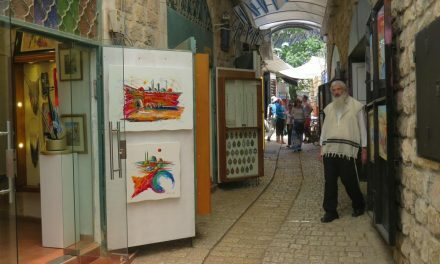 More about Northern Israel from Israel Travel Secrets.